Joel Riddell, Award Winning host of Dining Around on Talk910. Joel Riddell is IACP and Taste Award Winning host of “Dining Around” the Food, Wine and Travel radio program broadcast each Saturday from 10am-1pm on Talk910 and nationally on I Heart Radio, with Clear Channel Media and Entertainment. Always out and about, Riddell has found himself interviewing from international national and bay area locations including the Festival Del Sole in Napa, the SF Street Food Festival, Portugal, Spain and Africa. Enthralled by the most interesting of vintages, Riddell has participated in events with Frescobaldi, Antinori, Staglin, Brassfield Estate, Robert Mondavi, Coppola and many more leading vineyards. 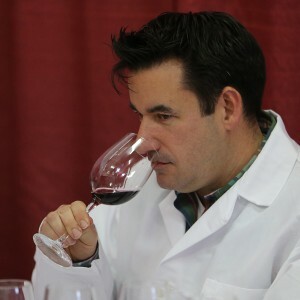 His expertise and lively presentations have led to speaking engagements at the Culinary Institute of America (Rudd Center on Wine), the University of California, Davis (Enology Studies), the Art Institutes International, and the Pacific Union Club. Riddell is the recipient of the 2013 IACP Award for Radio, has been nominated for a Tasty Award and with his Mentor Gene Burns won a Copia Award for “Dining Around”. He is a member of the James Beard Foundation and the International Association of Culinary Professionals (IACP). He provides insider’s tips to living the good life – the enjoyment of fine food (from street trucks to haute cuisine), memorable wines and unforgettable travel experiences around the globe. Nigella Lawson, Lidia Bastianich, Magrit Mondavi, Thomas Keller, Giada de Laurentiis, William Sittwell, Sophie Gayot, Gail Simmons and Anthony Bourdain are just a few of the culinary stars to share their remarkable insights during candid interviews with the ever inquisitive and always engaging Joel Riddell. Riddell is a sought-after emcee, host, judge and participant for the some of the epicurean world’s most exciting events and competitions. Host and Emcee of events such as, the 100th Anniversary celebration for Julia Child at the Highlands Inn in Carmel, Lidia’s Celebrate America, SF Chefs Food and Wine Chef Contest in San Francisco, and events with Festival Del Sole in Napa give Joel the inside track on trend setters in the food and wine world. His first-hand accounts give listeners a front-row view of California’s vibrant culinary scene.